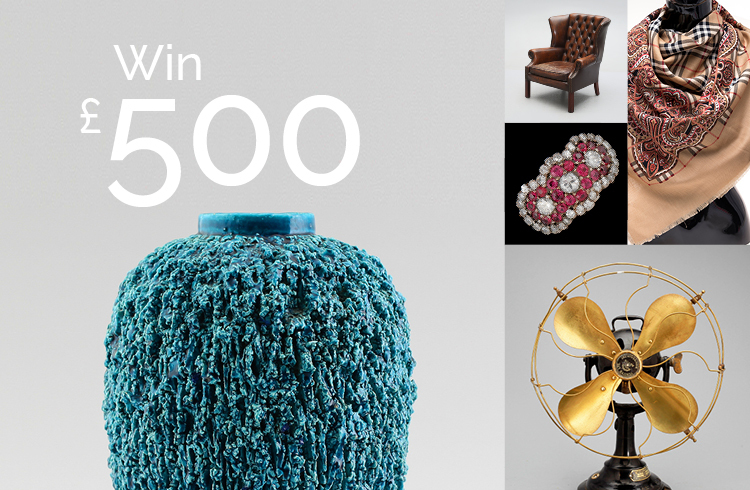 Create a new search alert in April and you can win £500 to buy antiques! We are kicking off April with a competition at Barnebys. Create a new Search Alert for your favourite antiques on Barnebys and be entered in a prize draw with the chance to win £500 to spend on antiques! The only thing you need to do is to create a search alert for something you are looking for, then click on "Create a Search Alert" and you will automatically be entered and have your chance of winning £500. You need to fill in your details if you are not already logged in. Here are some popular searches: Diamond ring, Rolex watches, Royal worcester, Figurines, Pocket watches. Start your search through all auctions here. Good luck! Rules: You have to create a new Search Alert during April. The winner will be chosen from a random draw and presented in the beginning of May. The prize is £500 and can only be used to buy antiques. Please remember to fill out your name in your account under Settings.